«This is unprecedented. A U.S. institution has been driven out of a country that is a NATO ally. A European institution has been ousted from a member state of the EU» lamented Michael Ignatieff, rector of the Central European University, before the student body. On 3 December, 2018, he declared that the educational institution had been forced out of Budapest by the Hungarian government. The bold statement was not a result of a visceral feeling for the stalemate but rather a cri de coeur to the Western politicians. In early November, Michael Ignatieff still had a glimmer of hope that the European and American elites would take a firm stand on the fate of the university. Alas, David Cornstein, United States Ambassador to Hungary, has only underlined his friendship with Viktor Orbán while Manfred Weber, Leader of the European People's Party, simply distanced himself with an assertion about the urgent need in the ECJ ruling on the Hungarian education law. Liviu Matei, Provost of CEU, on the contrary, was rather skeptical about capability of the large international organizations to influence restrictive policies of national governments. With the onset of the war in Kosovo, Milosevic introduced the new educational reforms in order to deprive the Serbian universities from their autonomy. It was the point where a 10-year long onslaught on the country’s academic freedom eventually culminated. Marija Bogdanović, Rector of the University of Belgrade in the beginning of noughties, recalls that in 1998 and 1999 about 180 academics were dismissed there. The authorities replaced them with an ignorant but reliable cadre. The notions of deterrent «international community» or «court or the public opinion» did not work in Yugoslavia. Lately, they both have performed very badly in relation to the protection of academic freedom in Russia and Turkey. The media paid a lot of attention the case of the Central European University. Although it is not the first time when CEU is forced to leave a Central European country due to the quarrel with the leadership. It is definitely not an ordinary occasion when one of the world’s top schools of political science got in an ultimate disgrace. Media fell in love with this story because of charismatic nature of crucial characters. Otherwise, there appears to be no other reason to constantly frame CEU as: «George Soros-Founded University», «Soros-affiliated university», «Soros-Backed University» etc. In the background of the Hungarian political drama, there is a lack of media attention to the more systematic moves at the European level. 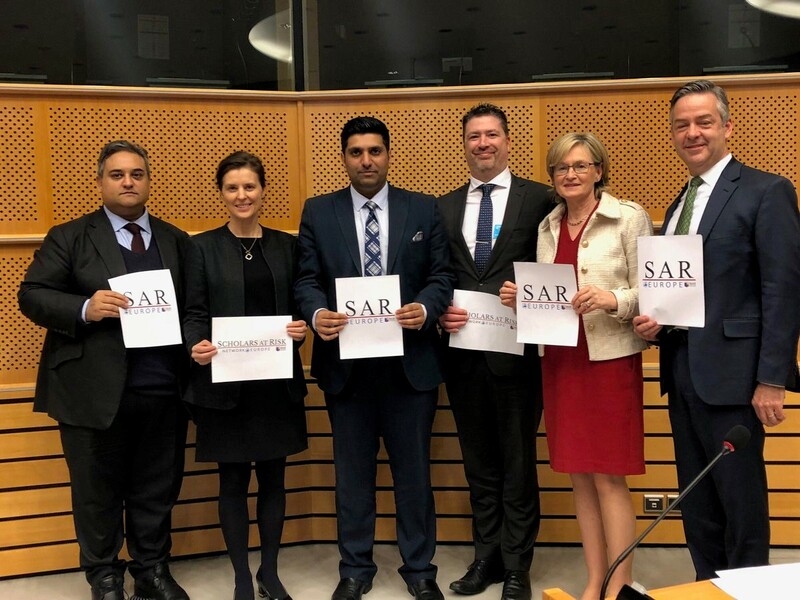 With the help of the British MEP Wajid Khan, a leading U.S.-based international network of supporting academic freedom Scholars at Risk solemnly opened their European branch last month. The next day, The European Parliament held the moderate debate about Khan’s resolution Defense of Academic Freedom in the EU's External Action. Although the document is aimed to more properly frame the EU foreign policy regarding academic freedom in the world, quite a decent part of the discussion got stuck with the CEU case. Clare Moody, center-left British MEP, pointed out that, «This report highlights the need to defend academic freedom when it is under threat. That must also include inside the EU». Then, Judith Sargentini, a Dutch MEP and severe critique of Orban’s government, concluded that since her report on Hungary on 12 September, 2018, things got worse. There were no objections toward Khan’s resolution during the debate, but the voting results turned out to be not so unanimous. The document was approved by 421 votes to 97 with 111 abstentions. Less than a half of the present EPP’s members voted in favor of the resolution. The ECR, EFDD, and NI, for the most part, also preferred to vote against or abstain. Europe of Nations and Freedom, which includes Rassemblement National, Lega Nord, and FPÖ, has been able to maintain party discipline during the voting. That was the only group that showed no vote in favor of the document. Cheering the adoption of Khan’s resolution next day after the debate, Judith Kirton-Darling, a British MEP for the Labor party, twitted about the Brexit minister Heaton-Harris’ letter to UK universities to remind about the problem with academic freedom in the United Kingdom. Mr. Heaton-Harris, a staunch Eurosceptic, requested the names of professors who are involved in teaching about Brexit, as well as the copies of the syllables. Out of 59 universities, only half of the institutions complied with the demands. David Green, the Vice-Chancellor of Worcester University, angrily wrote in response, «I look forward to receiving your letter of apology for sending me this sinister letter in which you ask me to supply the names of professors». 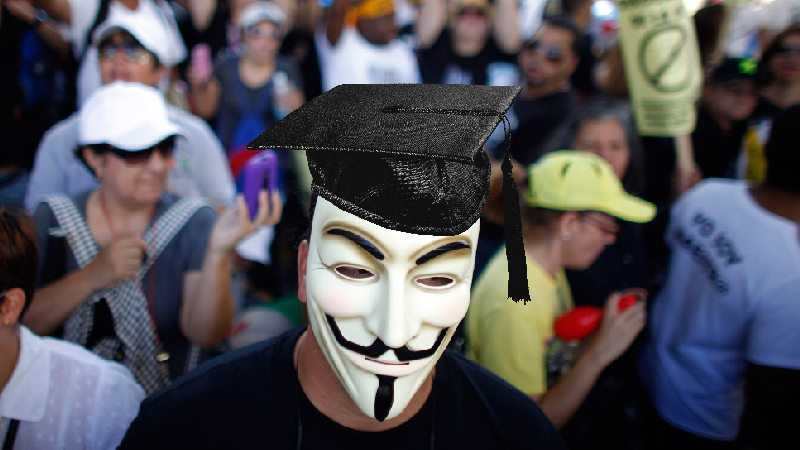 According the 2018 Report of the Scholars at Risk «Free to Think,» the world is currently facing severe attacks on scholars, students, and stuff carried out by both state and non-state actors, which undermine the freedoms of the higher education system and put at risk the very idea of a save space for sharing various academic views and opinions. SAR singled out different types or rather a different scale of the attacks around the globe, from the violent actions directed at disruption of the campuses in such countries as, Afghanistan, Kenya, Nigeria, and Pakistan to milder policies targeted at obstruction of academic inquiry and expression due to travel restrictions in such countries as, Russia, Turkey, and Cameroon. The report covers the most problematic cases of out time, among them the ongoing cases in Hungary and Russia. But what is so peculiar about the situation in other countries? Let us take a closer look at some prominent examples. The case of attacks on higher education in Iran seems to be very dreary. Long-term detention, severe prosecution of as many as 150 students, who took part in the nationwide protests, and further imprisonment and custodial abuses of scholars and researchers are just the top of iceberg. These actions by the Iranian authorities pose a direct threat to the Iran’s intellectual tradition and freedom of expression. The similar gruesome situation can be observed in China where the Chinese authorities detain scholars and students of the Uyghur ethnic religious community. For instance, one of the detained scholars namely, Muhammad Salih Hajim, died as the result of torture while in custody (page 18). An even on a different continent we may see the same pattern of the officials’ indifference regarding the well-being of their own people. That is to say, in Chili, deployment of water cannons and further violent actions by the police forces in order to break up a peaceful demonstration led to a traumatic brain injury of one of the participating students. Is the situation any different in Europe? It seems that not really. The most blatant case is evidently Turkey. A great number of academics as well as students were charged with false accusations underlining their connections with the coup attempts. Those who wish to flee the country are deprived of this opportunity. Whereas the character of these actions taken by the Turkish government is quite systematic, the other parts of Europe suffer from unsystematic attacks happening both in the West and the East. In France, state authorities arrested university personnel for «facilitating the attack» at the University of Montpellier, even though they were the victims of the masked individuals stormed the place. In the East, ongoing state actions have threatened the operation of several higher education instructions and research centers. In Hungary, the Central European University was gradually forced to move to Vienna due to the pressure form the authorities. But that was not enough, and on August 10, 2018, Prime Minister Viktor Orbán’s government issued a decree aiming at a total elimination gender studies from every Hungarian university, private or public. 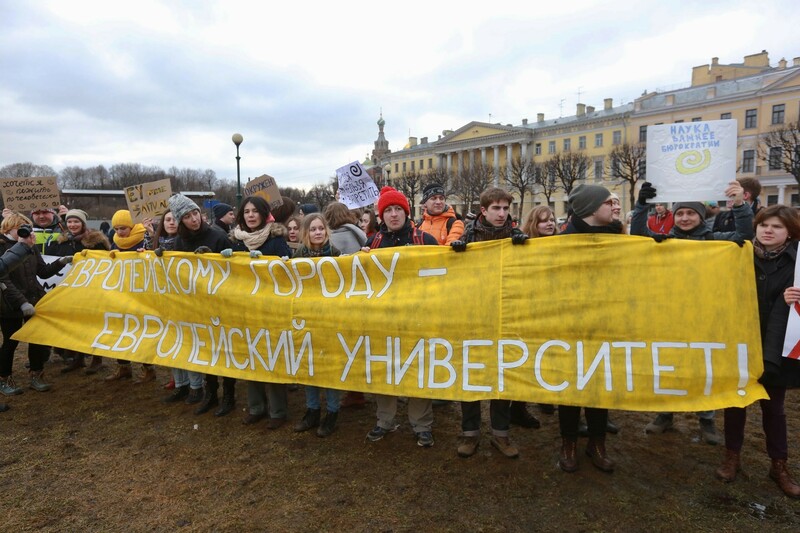 More or less the same picture can be observed in Russia, where the government on the pretext of some «administrative violations» shut down the European University at St. Petersburg and groundlessly revoked the accreditation of the Moscow School of Social and Economic Sciences. Thus, Hungary and Russia, with their illiberal democracy, go hand in hand with each another in violating academic freedom and institutional autonomy. The last report of the Scholars at Risk is anything but a proof that Europe is facing a full-fledged crisis in the higher education. Nevertheless, the rise of targeted attacks and common distrust of the democratic institutions among the Europeans are profoundly worrying signs. The conventional response to the attack on academic freedom is reactionary in nature. That is how this problem was institutionalized. Concerned with the persistent difficulties, officials and academics read only post factum distributed reports. In the absence of such a well-organized report as Doing Business but only for academic freedom, it seems that the European pundits never go deeper than analyzing the biggest scandals across the continent. Last April 2017, a week after Victor Orban has accused «Soros University» in «cheating» by awarding American diplomas without operating abroad, Policy Reviews in Higher Education published a comprehensive and ambitious article attempted to measure academic freedom in the European Union. A group of international scholars decided to divide academic freedom into several categories, which can be measured on a scale of one to twenty: academic freedom in legislation, institutional autonomy in legislation, self-governance in legislation, job security, and constitution and international agreements. Despite the long process of the Europeanisation, the EU member states still maintain a high degree of pluralism with regard to the regulation of universities and academic freedom. Analyzing the results of the study, it is difficult to find the usual fault lines: Eastern and Western Europe; North and South; Scandinavian countries and the Old Europe. Chart 1. Overview of the results for individual countries in the EU. Overall, the top five countries where academic freedom is most protected are Croatia, Spain, Bulgaria, Germany, and Austria. All of them can be showcased by clearly defined norms of academic freedom in the legislation, self-administration clauses, and international agreements protecting them. Estonia, Great Britain, Malta, Hungary, and Denmark are at risk. At first, it may seem ridiculous to place a post-communist state on the same footing as the United Kingdom, but in many ways British scientists are less protected than their European counterparts. For example, the Spain Constitution claims the right for academic freedom in the Article 20 the same way the Greece Constitution protects the academic tenure of professors in the Article 16. This absence of legal protection from above moves all the safety mechanisms to the individual university charters. Therefore, the prevailing departmental culture can be more important by offering de facto protection. Comparing different cases, we can conclude that the issue of academic freedom is divided into the problem of relations with external stakeholders and within the institution itself. In fact, different parts of the western hemisphere speak completely different languages when discussing academic freedom. There is no a strict line, the borders are blurring, but one is still able to grasp not only difference in narratives but also the sharp contrast between actors – especially, between continental and Anglo-Saxon discourse. European intellectuals more or less agree that the heritage of the Humboldt’s model of university has not been overcome yet. Bill Readings describes this type of institution the following way, «the institution charged with watching over the spiritual life of the people of the rational state, reconciling ethnic tradition and statist rationality». Joan Wallach Scott goes further and brings to the fore contradictions that this type of university cannot bridge, «From the late 18th century on, there has been a tension between two avowed purposes of the university: to educate the citizens of the nation-state and, equally importantly, to encourage the critical thinking that would correct abuses of power and furnish the nation with the creativity and change that were vital to national well-being». Having this painful legacy of totalitarian regimes that determined an academic life, the Europeans tend to equate academic freedom with freedom from state interference in the affairs of the academy. The European academy has gone a long way in the struggle to define its own curriculum. Professors and administrative staff managed to push the state appointees off campus. 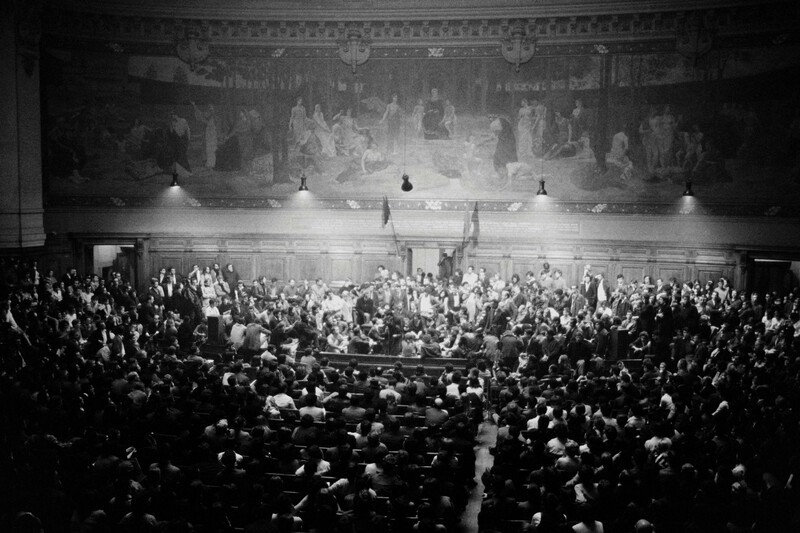 Students from Paris, Berlin, and Warsaw went on to fight for the freedom of their universities in 1968. It was only after 1989 when the Eastern half of Europe was able to enter this old debate about the autonomy of the university from the state. In other words, while John Dewey alongside with the AAUP, pragmatically fought for academic tenure, the European researches in interwar Germany and Soviet Russia would have appreciated if the state had just left them alone. Liviu Matei makes the distinction between institutional autonomy and academic freedom, «In the US and Western Europe, institutional autonomy is often taken for granted, and what is more debated is academic freedom. In other countries, as in many parts of the post-Soviet region, institutional autonomy is severely restricted, which makes it a more urgent matter to discuss and attend to». Even an ordinary person can easily notice that when media are discussing economic freedom in the US, they talk mainly about censorship on campuses. It includes typical problems of the American society, which can be described by the general term «culture wars». Thus, academic freedom is an argument in the right-wing discourse that they use to rebuke their opponents. The same narratives are very popular in the UK and Western Europe in general. The opposite picture can be seen in Eastern Europe, where the argument of academic freedom is taken by liberals to criticize state interference in university affairs. Several transfers of CEU from Prague and Budapest, attacks on the European University at St. Petersburg and The Moscow School for the Social and Economic Sciences, current Jarosław Gowin’s educational reform in Poland – all of that shows a different frame of academic freedom in Central and Eastern Europe. Freedom to research or teach. In this case, there is a struggle for freedom of thought and expression within campus. The actors are trying to determine who can say, what can be discussed and what is unacceptable. Freedom from coercion. In this sense, there is a struggle between the university and the nation-state for the right to autonomy. The actors on the side of the university are trying to expand their rights for the research, discussion, teaching, and decision-making process. On this basis, Central European University has found itself in a unique setting. It is fighting for classical autonomy from the state bureaucracy, and at the same time it is in the middle of the Hungary’s culture wars. Michael Ignatieff stays that, «academic freedom is too important to be left to universities to defend by themselves». It's hard to argue with this when one of the best universities in the world can be easily thrown beyond the borders of a relatively small state. No matter how modern and post-national the university is it still has to have a right to operate within the jurisdiction of a nation-state. Although considering itself as a part of the Hungarian community, CEU has failed in attempt to become a Hungarian university. Hungarian students are even sometimes offended when someone accidentally assumes they are from CEU. Most likely, it was not CEU’s primary mission. After the surge of national populism in the world, the modern university as an institute found itself in a very difficult position. In Ignatieff’s words, «these days higher education is politically isolated: attacked as bastions of elite privilege and castigated as the protected domain of arrogant expert.» Unfortunately, he does not develop this statement further, only fearing that populists may use these feelings among the public for electoral victories. One thing is clear, the university as an alienated body on the map is more vulnerable in the contemporary conditions. Once, the Guardian made an ambitious attempt to broaden the views of their audiences by publishing important conservative articles. The section was called «Burst your bubble,» but it turned out be a total failure due to the fact that the last articles ended up with standard criticism of the conservative views. Academia should also burst its bubble and make it more accurately. Once again exploiting the sad experience of CEU's struggle with the Hungarian government, we would like to recall the positive cooperation in Myanmar. In the country with no institutional autonomy, CEU’s Elkana Center for Higher Education managed to persuade the national authority to change situation for better. Having collaborated with two flagship universities, CEU was able to act as one of the key reform-makers for the educational system of a large country. Liviu Matei recalls, «We have done this work in direct and stubborn contact with national authorities, starting already with the last military government, and it looks like this approach worked. We also learned in the meeting with the Minister that the drafting committee for new higher education law has put language from our Handbook into the draft higher education law». These two cases clearly show that even in the era of liquid-late-post-any-other modernity, the university still should work with the state and be perceived beneficial in public opinion. 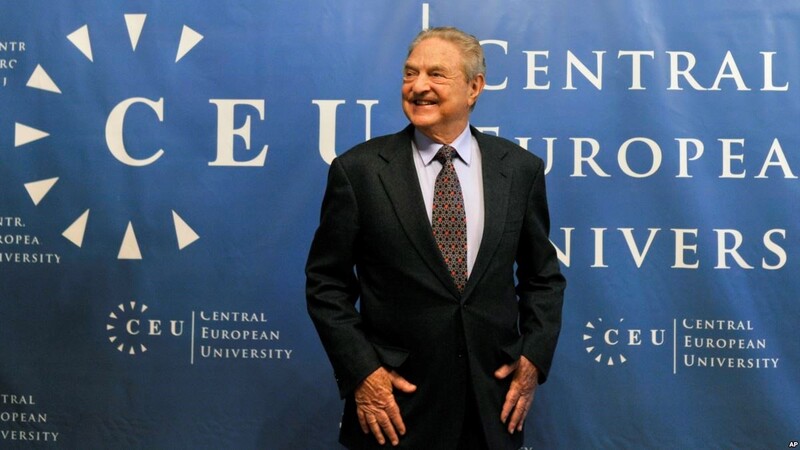 Marc Santora, “George Soros-Founded University Is Forced Out of Hungary,” The New York Times, December 4, 2018, sec. World, https://www.nytimes.com/2018/12/03/world/europe/soros-hungary-central-european-university.html. “Michael Ignatieff: CEU - The Struggle for Academic Freedom in the 21st Century - YouTube,” accessed December 9, 2018, https://www.youtube.com/watch?v=R_JrMYWl5KI&t=579s. Griff Witte, “The Trump Administration Tried to Save a U.S. University by Playing Nice with an Autocrat. It Failed.,” Washington Post, accessed December 9, 2018, https://www.washingtonpost.com/world/europe/the-trump-administration-tried-to-save-a-us-university-by-playing-nice-with-an-autocrat-it-failed/2018/11/30/f028718a-e831-11e8-8449-1ff263609a31_story.html. 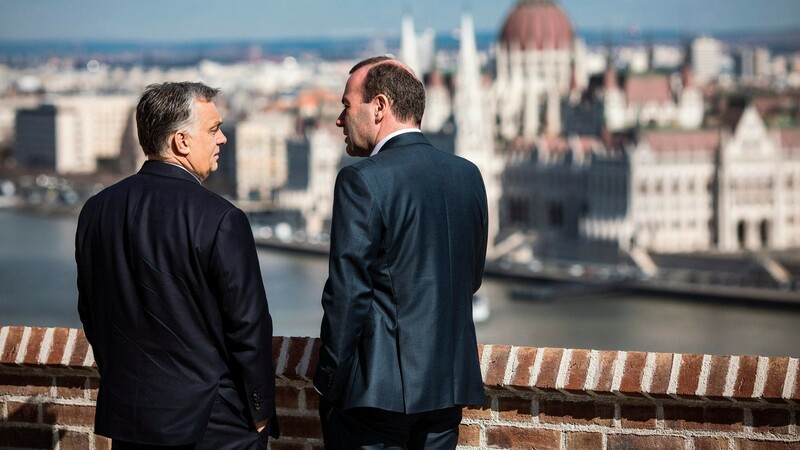 Manfred Weber, “In This Regard, We Urgently Need the ECJ Ruling on the Hungarian Education Law. We Call on the ECJ to Fast-Track Their Proceedings and Decide on the Case Brought to Them by the European Commission. #CEU #Hungary @EUCourtPress,” Tweet, @ManfredWeber (blog), 2018T9:16, https://twitter.com/ManfredWeber/status/1069596140323176448. Michael Palairet, “The Economic Consequences of Slobodan Milošević,” Europe-Asia Studies 53, no. 6 (2001): 903–19. “Debates - Wednesday, 28 November 2018 - Defence of Academic Freedom in the EU’s External Action (Debate),” accessed December 10, 2018, http://www.europarl.europa.eu/sides/getDoc.do?pubRef=-//EP//TEXT+CRE+20181128+ITEM-028+DOC+XML+V0//EN&language=EN. “MEPs Call for Better Defence of Academic Freedom | News | European Parliament,” November 29, 2018, http://www.europarl.europa.eu/news/en/press-room/20181129IPR20514/meps-call-for-better-defence-of-academic-freedom. Jude Kirton-Darling MEP, “Great to Vote on @WajidKhanMEP’s Excellent Report on Academic Freedom Especially Pertinent Considering the Attacks in Hungary & Let’s Not Forget Brexit Minister Heaton-Harris’ Infamous Letter to UK Universitiespic.Twitter.Com/C8fftXqt0b,” Tweet, @Jude_KD (blog), 2018T14:12, https://twitter.com/Jude_KD/status/1068221234834546688. Patrick Cowling Rosenbaum Martin, “How Universities Replied to That Brexit Letter,” January 9, 2018, sec. Family & Education, https://www.bbc.com/news/education-42431780. “Scholars at Risk - Free to Think 2018,” Scholars at Risk, accessed December 10, 2018, https://www.scholarsatrisk.org/resources/free-to-think-2018/. “Montpellier Dean Detained, Suspended after Masked Men Attack Students,” accessed December 10, 2018, https://www.france24.com/en/20180329-france-montpellier-dean-suspended-letting-masked-attackers-law-school. “The Central European University Is Moving to Vienna,” The Economist, December 5, 2018, https://www.economist.com/europe/2018/12/05/the-central-european-university-is-moving-to-vienna. “Russian Agency Revokes Accreditation of Private University | Inside Higher Ed,” accessed December 10, 2018, https://www.insidehighered.com/quicktakes/2018/06/25/russian-agency-revokes-accreditation-private-university. Deutsche Welle (www.dw.com), “Hungarian PM Orban: Soros-Backed Central European University Has Been ‘cheating’ | DW | 31.03.2017,” DW.COM, accessed December 10, 2018, https://www.dw.com/en/hungarian-pm-orban-soros-backed-central-european-university-has-been-cheating/a-38240791. Terence Karran, Klaus Beiter, and Kwadwo Appiagyei-Atua, “Measuring Academic Freedom in Europe: A Criterion Referenced Approach,” Policy Reviews in Higher Education 1, no. 2 (July 3, 2017): 209–39, https://doi.org/10.1080/23322969.2017.1307093. p. 229. Karran, Beiter, and Appiagyei-Atua. p. 233. Michael Ignatieff and Stefan Roch, Academic Freedom: The Global Challenge (Central European University Press, 2018). p. 12. Ignatieff and Roch. p. 31. Alexis Gibbs, “Academic Freedom in International Higher Education: Right or Responsibility?,” Ethics and Education 11, no. 2 (May 3, 2016): 175–85, https://doi.org/10.1080/17449642.2016.1181844. Ignatieff and Roch. p. 2. Jason Wilson, “So You Want to Get out of Your Bubble: Try Reading These Conservative Websites,” The Guardian, November 22, 2016, sec. Media, https://www.theguardian.com/media/2016/nov/22/conservative-websites-media-bubble.